You’re invited to the longest-running immersive theater experience, where everyone’s family! Chicago, Illinois, we hope you’re ready! It’s been a few years since the show was performed in the Windy City, but Tony n’ Tina’s Wedding Chicago is back in full force! Discount Tickets for Tony n’ Tina’s Wedding in Chicago. Save 21% off. Cost $59 Retail $75 You Save $16. Offer ends November 19, 2016. The show is set for performances in Chicago starting September 22, 2016 and running into January. 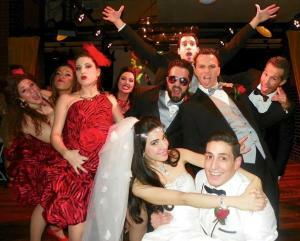 Come once, twice, ten times, Tony n’ Tina’s Wedding Chicago will never get old!